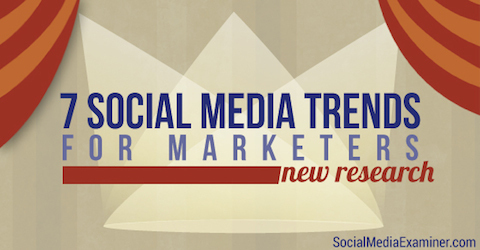 Are you wondering what the latest social media trends are for marketers? Want to make sure you don’t miss out on the next trend in social media? Fresh from the 2014 Social Media Marketing Industry Report (which surveyed 2,800+ marketers), this article will highlight some of the newest social media trends faced by marketers. Here’s what you need to know from the latest social media research. Not surprisingly, the use of visual content (infographics and memes) is set to increase over the next year—70% of marketers plan on increasing their use of these content forms. Let’s take a deeper look at some key findings from the survey. 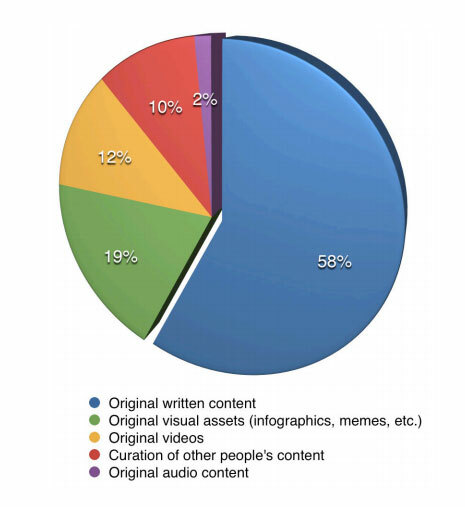 Over half of the marketers (58%) surveyed chose original written content as their most important form of social media content, followed at a distance by original visual assets (19%) and original videos (12%). Marketers were asked to select the most important form of content for their business. For marketers who have something valuable to share—like industry insight or compelling information (e.g., the Social Media Marketing Industry Report)—written content works brilliantly and provides an opportunity for true thought leadership. LinkedIn understands the power of the written word and that’s why they opened up their publishing platform to all members in February of this year. As a content marketer, that should make you jump for joy. Now you can really leverage LinkedIn’s core strengths: lead generation opportunities and direct access to decision makers. But access to this new platform doesn’t mean you should migrate from your blog to LinkedIn. Instead, use LinkedIn to complement your brand’s message. On LinkedIn, you blog as an individual rather than as the “company voice.” That means you can tailor your message to be more opinionated and insightful, and less corporate. In fact, it’s a bad idea to copy and paste articles from your company blog to LinkedIn. Blogging has become increasingly important to social media marketers—68% of marketers plan to increase their future use of blogging. In fact, over the last two years, the importance of blogging has incrementally climbed from the number-four spot in 2012 to number three in 2013 to number one in 2014. 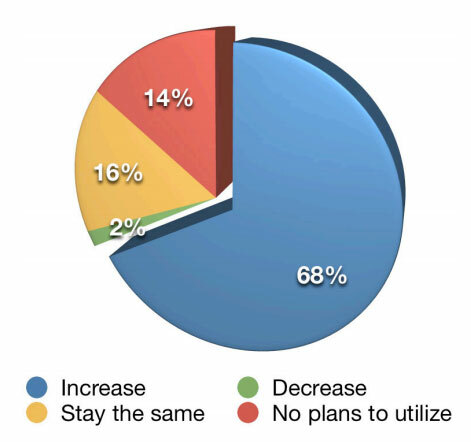 Marketers were asked how they planned to change their future blogging activities. As you think about your future blogging activities, consider the biggest challenge of blogging: There’s too much content out there that’s not being read. Earlier this year, Mark Schaefer stoked the fire of the old “information overload” debate in his highly controversial post, Content Shock. The gist of the article is that just because you have a blog doesn’t mean people will read it. I believe Marcus Sheridan has the best answer to this problem: Be more opinionated. “Too many businesses are stuck in this ‘grey area’ where they’re so afraid of having any opinion at all because they want to please everyone. As a result their blogs stink and they don’t get any traction.”—Epic Content Marketing, (p. 62). If you’re not causing people to raise their eyebrows, you’re not going to make it big in blogging. When asked what social media platform they wanted to master, 65% of marketers said Google+, displacing blogging, which took the top spot in 2013. The first runner-up this year was LinkedIn with 57% of marketers. 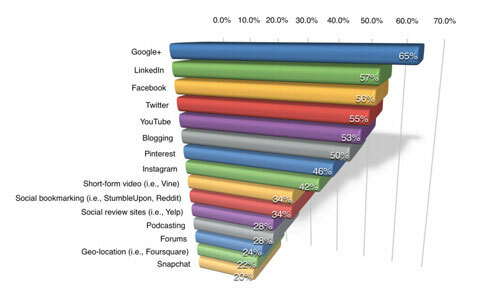 Google+ takes first place as the social media platform marketers want most to learn about. Many people say Google+ is a waste of time and nobody uses it, but there are a few reasons marketers should think differently about Google+. According to a new Forrester report (The Case for Google Plus), Google+ has more monthly active users than you think (about 540 million). With those numbers, you canbuild a really solid follower base on Google+. In fact, some top brands have 90% as many fans on Google+ as they do on Twitter. Google authorship is another reason Google+ is important. When authors link their Google+ profile with content they’ve written and published, that content is given Google authorship markup. This helps articles stand out because Google displays the author’s picture with the article title in search results, which encourages more clicks. While stats may tell us users spend more time on Facebook than Google+, have you thought about the upside to that? Less time equals less noise. It’s hard to cut through the clutter on Facebook, but since that’s not a problem on Google+, you can get much more engagement when you share high-quality content on a regular basis. There’s also a compelling link between email marketing and Google+. When you send email to people or businesses that use a personal Gmail account or Gmail for business account, Google gives your brand prime real estate on the right side of the page. Take a look at this email newsletter I received from NY&Co. Notice their Google+ profile branding on the right side of my opened email. When integrated with email marketing, Google+ provides more branding opportunities for your business. 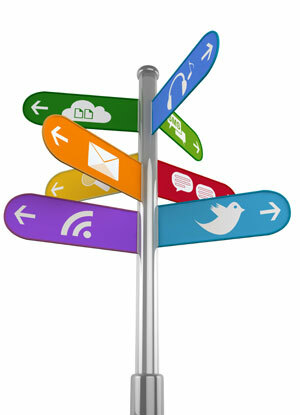 Your email subscribers have the opportunity to follow your company on Google+ right from their email account! Notice, too, that the Gmail–Google+ integration shows your recent posts right next to the opened email. That helps drive more views to your Google+ posts. The burning question for the vast majority (91%) of marketers is, “What social tactics work best?” This is followed closely by 89% of marketers who wanted to know, “What is the best way to engage audiences with social media?” These are valid questions, considering the constant changes across social media platforms. As social channels change, tactics and engagement remain big challenges for marketers. Image: iStockPhoto.com. A couple of years ago, I attended Content Marketing World, where Jay Baer informed us that to get his attention on social media, we had to be more interesting than his wife! Seth Godin put it this way: “If people aren’t talking about you, there’s a reason—you’re boring.” Ouch!! But point made. If you’re not interesting to begin with, it doesn’t matter what tactics or platforms you use, nobody will engage with your brand. When you’ve found a way to capture people’s interest, then you can start to think about how to encourage more Facebook engagement or how to build on other established social media relationships. Measuring social media ROI remains murky and elusive for marketers. Only 37% are able to measure their social activities (compared to 26% in 2013), while 35% aren’t sure and 28% can’t measure it at all. 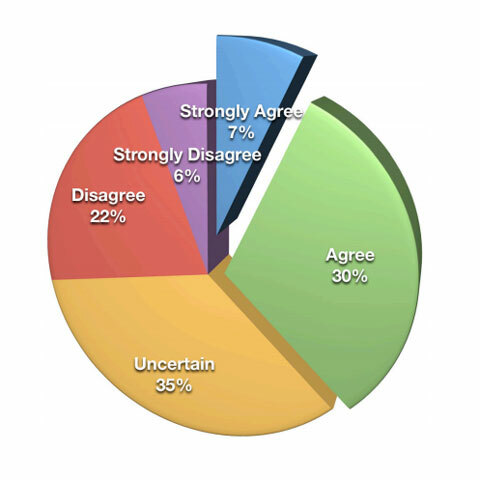 To what extent do marketers agree that they’re able to measure social media ROI? The confusion about social media ROI isn’t new. However, the inability to measure overall social media results doesn’t mean there’s a problem with a particular channel. It just means that marketers aren’t going about it the right way. From the very beginning of your campaign, set things up so data are clearly defined, available and measurable. One of the easiest ways to do this is to ask your fans and followers to do something specific (i.e., provide a clear call to action) and then track their responses (e.g., email signups, downloads or shares). That doesn’t mean you should ignore metrics like reach or engagement, but for many marketers those metrics don’t always provide a clear path to sales and revenue. So if you’re tired of pulling your hair out over social media ROI, try keeping it simple by asking your fans to perform ONE simple, measurable action.